The Field Auditor training course consists of both theory and practical instruction. The practical portion of the training module is carried out on a job site, or on a mock-up where an authorized ABAA representative will instruct the candidates on audit process for air barrier assemblies. Participants who successfully complete the field auditor course will receive a training course attendance letter with exam results (if applicable) and an attendance certificate. ABAA courses are open to everyone and are a great training opportunity for all, including General Contractors, Suppliers, Manufacturers sales rep, Architectural Reps, and anyone in the construction industry. There is NO experience needed to attend one of our great training courses. 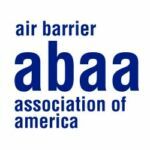 The role of the ABAA Licensed Field Auditor is to perform quality assurance audits of air barrier assemblies on new commercial and institutional construction projects during installation. Complete audit reports, document audits with photos, and address specific areas which have noted deficiencies and require corrective action(s). Full compliance with the ABAA QAP. The ABAA requires that all licensed auditors be impartial 3rd party contract employees. To that end, parties employed by ABAA accredited contractors, employed by or with vested interests (rep, sales, financial, etc.) with any manufacturers and/or employed by any general contractor are ineligible for auditor licensing. Candidates shall disclose any potential conflict (perceived or real) to the ABAA QAP office. If you feel that you would make an ideal candidate and would like consideration into the Field Auditor Program, please submit CV/resume to abaa@airbarrier.org for review to “Attention Quality Assurance Department” in the subject line. A minimum of three years of related experience (construction/inspection/quality assurance) or any equivalent combination of training and experience with working knowledge in the areas of commercial waterproofing, roofing or building envelope experience. ABAA advises candidates that ABAA cannot guarantee any minimum amount of work an auditor will receive and, as such, all potential candidates should view this work as a supplemental source of income.